GOING Fit is committed to improving the lives of children and adults of all ages through diverse, safe and fun group exercise classes at your facility or location. GOING Fit instructors are all experienced, certified, insured, and trained on an ongoing basis. GOING Fit commits to the following values in all our relationships: expertise, passion, commitment, kindness, integrity, philanthropy, teamwork, communication, innovation, and dependability. Each instructor is certified, insured, and is an expert in their instruction. Instructors have clearance when applicable. GOING Fit runs over 150 classes a week at 55 plus communities, CCRC’s, hospitals, assisted livings, corporations, apartments and parks. We currently operate in Eastern Pennsylvania, Delaware, Maryland, North Carolina, and South Carolina. 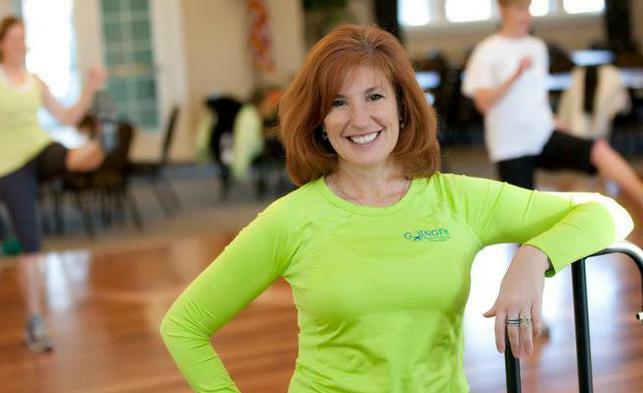 Heather began teaching exercise classes in 1997, and in 2012 founded GOING Fit. As the Owner and President of GOING Fit, Heather has centered her fitness philosophy on three principles: safety, effectiveness and fun! "GOING Fit comes to the customer, not the other way around. Our goal is for our participants to live well!"